Teacher’s Comments: Lots of food for thought about the role of the Captain in the Ryder Cup. Gillis contends that “The Captain” serves as little more than a convenient storytelling device for the media and fans. The alternative story, he says, is much more complex, involving player skill sets, talent, individual shot making, nerve and happenstance. Luck does not make for a great story. No one wants to hear: “Team A won because it got lucky in a variety of circumstances.” The winners and their fans certainly do not want to hear that they got lucky. The losing team and their fans — looking for answers and solutions for the future — also do not want to attribute the results to luck. If luck is the deciding factor, then no one is in control and there is no solution for improvement going forward. Finally, and perhaps most importantly, the media does not want to attribute results to luck. “They got lucky,” is a very short story indeed, and the media has lots of airtime minutes and column inches to fill. As Exhibit A, Gillis offers Justin Rose’s monster putt for the win against Phil Mickelson on the 17th green at Medinah in 2012. From more than 25 feet with a left to right putt, Rose statistically had a one percent chance of holing the putt. He made the putt, and Europe win the Cup 14 1/2 to 13 1/2. Jose-Maria Olazabal is lauded as the Captain who brought victory to Europe. Davis Love III, on the other hand, has his leadership questioned. That last is particularly interesting. The myth is that the European team wins because it has more “team spirit” and functions as one big happy family. Gillis argues that it would be difficult indeed to not be happy when you have won 70% of the matches over the last two decades. 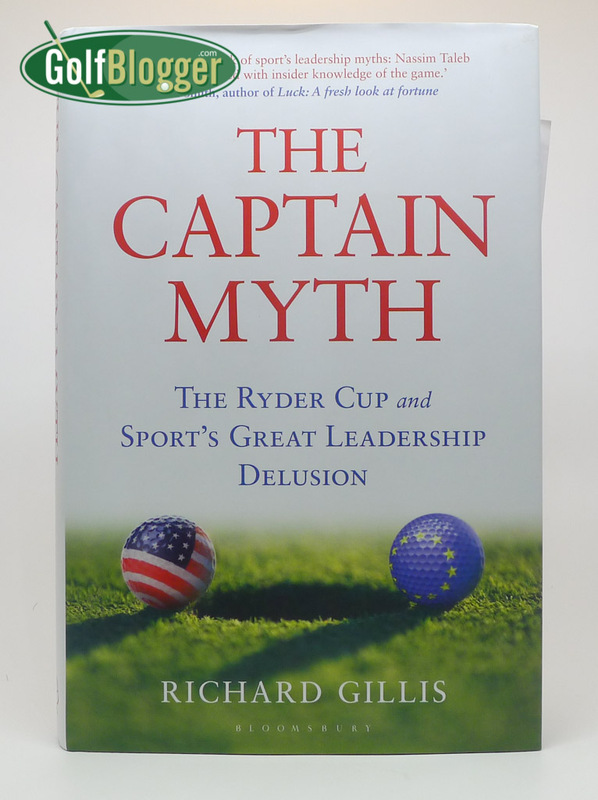 These myths, Gillis says, help the media and fans make sense of the Ryder Cup, particularly as the differences between American and European players become more and more similar. These narrative myths are necessary for a good story, and “The Captain” is the central character.